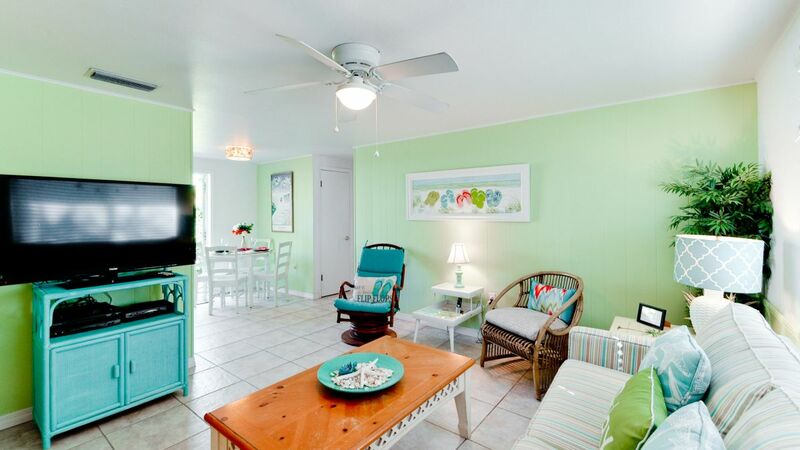 Gertie's Beach House East is a vibrant, well maintained and equipped island duplex. 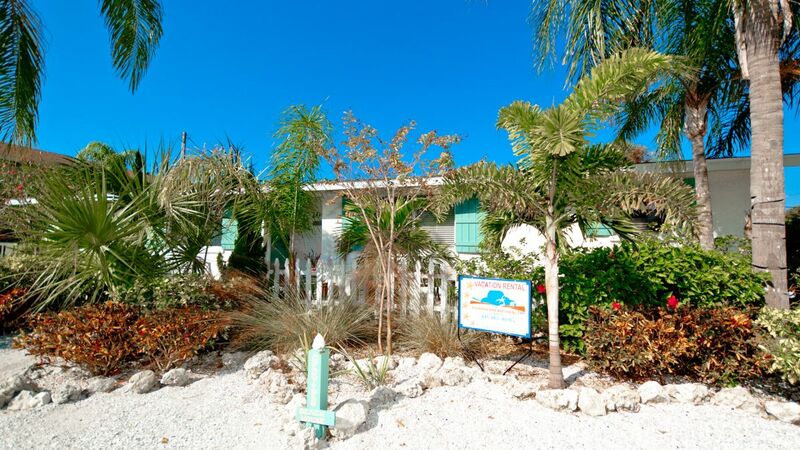 Just steps from the white sands and turquoise waters of the Gulf of Mexico. 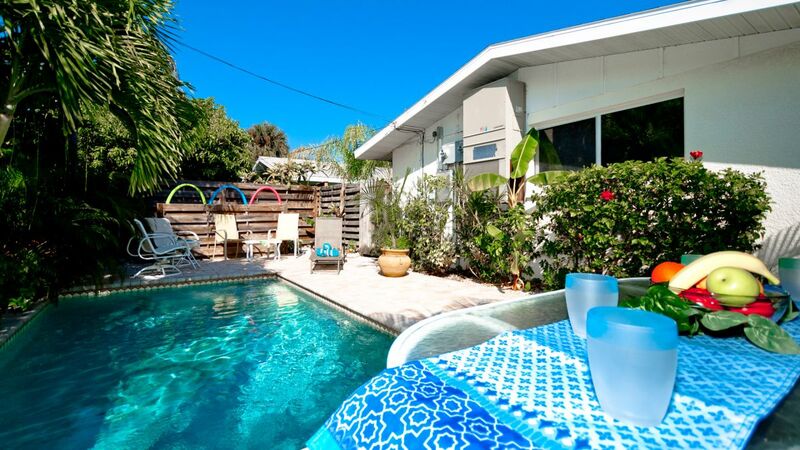 Relax by the nice pool, dine on your private fenced in patio or just enjoy Anna Maria Island. Take a short stroll to the beach and enjoy picturesque sunsets, unwind at the several restaurants, or browse the shops and stores all within a short walk. 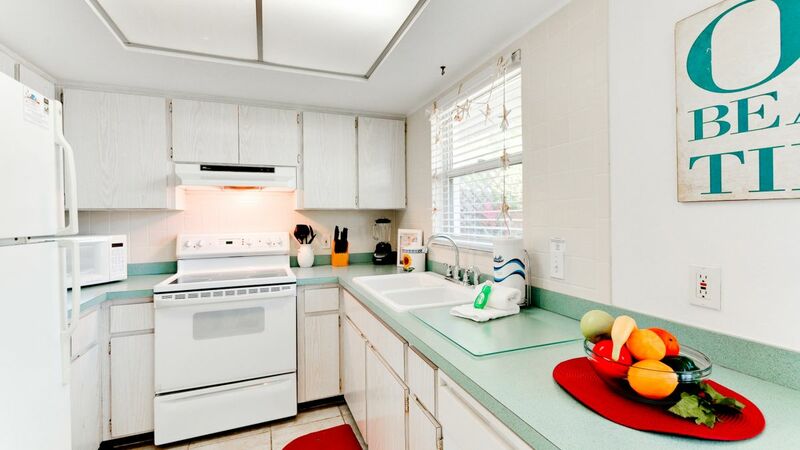 One bedroom, one bath (tub-shower) and kitchen, breakfast area, living room, cable, wireless internet access, charcoal grill and a comfortable king size bed await you. Also for infants a pack and play is provided. 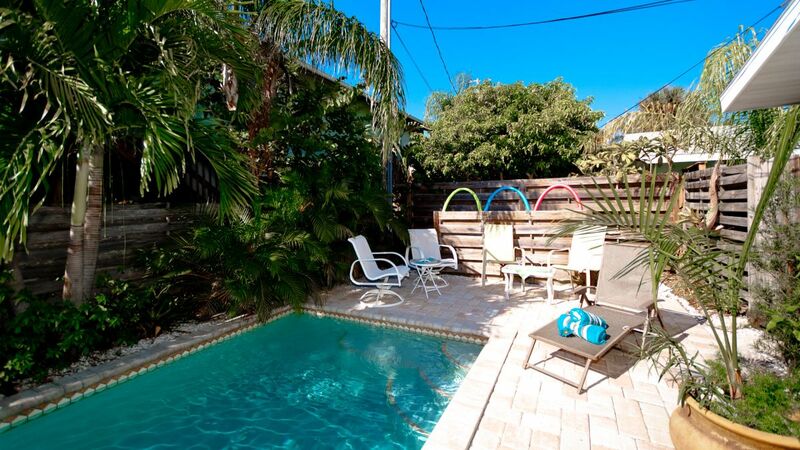 Take it easy, hang loose, and soak up the sun here at your tropical oasis Gertie's East. Free Wifi, linens, towels, etc. and beach equipment provided. Please contact me with information regarding Gertie's East. die unterkunft ist echt schnuckelig....strandnÃ¤he! wir haben uns sehr wohl gefÃ¼hlt....(eine waschmaschine haben wir ein bisschen vermisst...) wir kommen auf jeden fall wieder auf die trauminsel!!!! 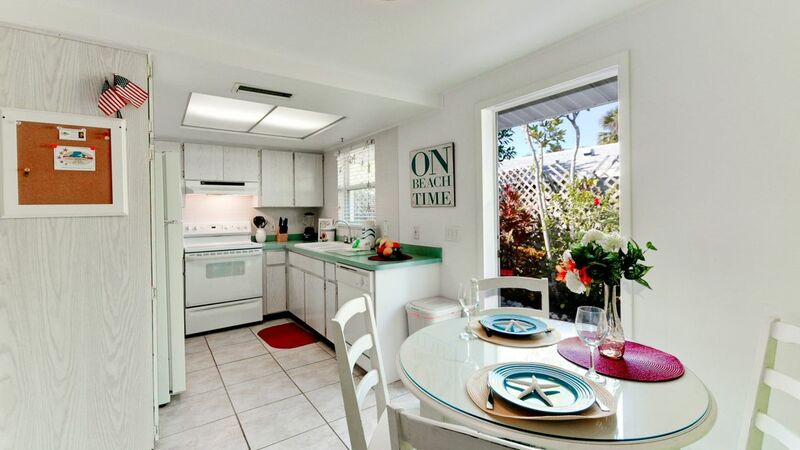 The house is perfect for a couple, it was imaculatly turned out, very clean with ample space . Extremely large bed, large fitted kitchen and air con. The pool was just perfect sun all day with enough shade at the height of the day, plenty of poolside furniture . a short walk , one block, to the most perfect beach, perfect sunsets every night was different. Dolphins, pelicans and plenty of space . Anna Maria Island is a beautiful place with loads of good restaurants, such as Peaches for breakfast and Mr Bones for baby back ribs. But there are plenty of others on the island all reachable by the free trolley service on the island so leave the car in the garage and use the trolley you will get to meet loads of like minded people on board and the drivers are so cool. 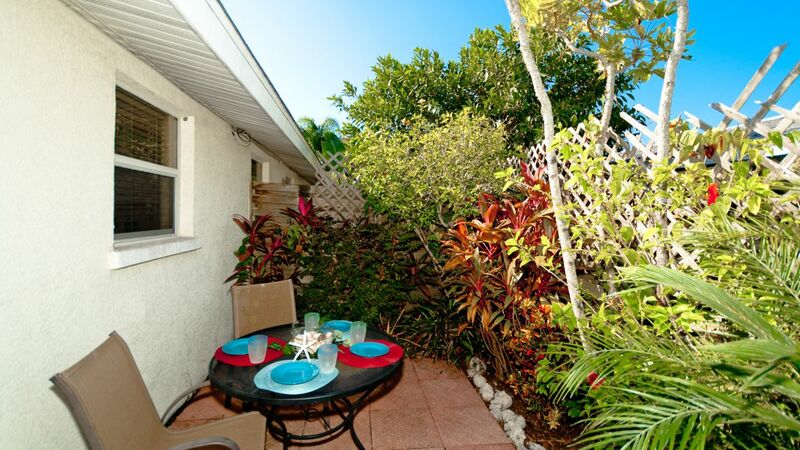 Close to beach, stores and restaurants. Very nice accommodations and the heated pool is a plus. From arrival to departure, Gertie’s beaxh house was perfect. We loved the location. Could not have been better. The house is so pretty and clean and functional. We cooked all our meals right there in the fabulous kitchen. We enjoyed the pool before and after many hours at the ocean. We were able to walk to the shops close by, we had the experience of watching dolphins for hours and swimming 50 yards from about 15-20 of them. We will stay again and intend to bring our daughter next year! We had a wonderful time at Gertie's East! We will defiantly be back soon! Our favorite part of the whole stay would be the private pool. We had a wonderful honeymoon! Thank you! 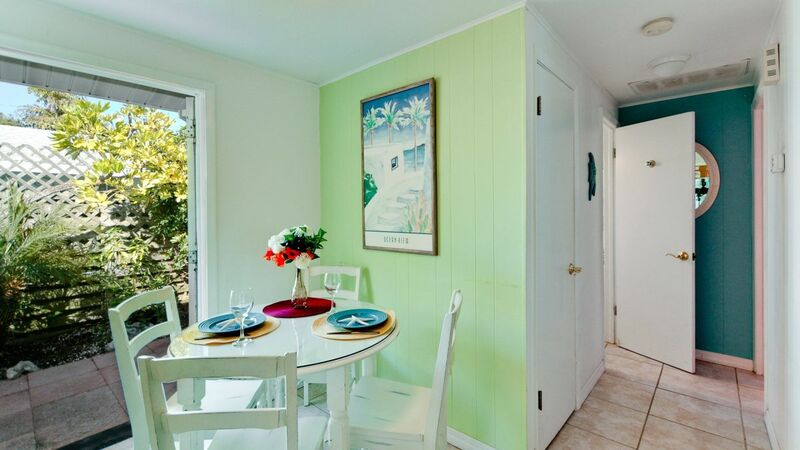 Upon arriving to Gerties I was excited to stay at a beach cottage and not a condo. I have to say the inside was as described and perfect for two people. You have to keep in mind it isn't a five star hotel, it has a very laid back feel to it and once inside my husband and I felt at home and comfortable. We have stayed at several resorts and rental houses on the island and this by far was the most convenient and comfortable. 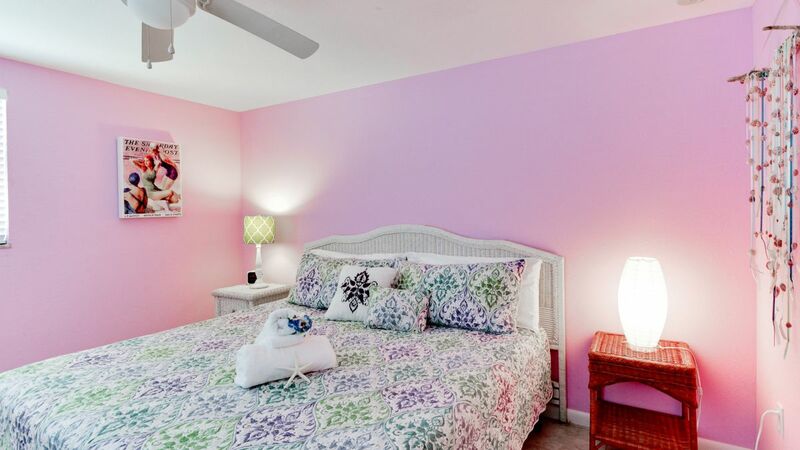 It is bright and airy, well decorated and private. The pool, which is on the side of the owner's unit was available only to us, which was great. There were plenty of chairs to host company after a long day at the beach or just relaxing and floating before heading out for the day. The kitchen was well equipped, although this trip we only prepared one meal. 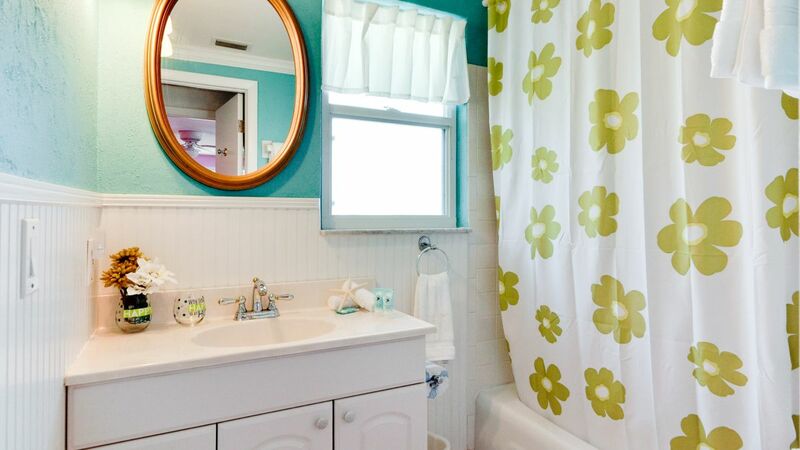 The bathroom is small, but again, light and airy. The staff was great, we took the opportunity to visit the office and introduce ourselves personally. We had family vacationing across the street and their complaint were the stairs. We would park out front or to the side and walk right in, no stairs to drag our beach stuff in and out everyday. I look very forward to returning to Gertie's in the future. 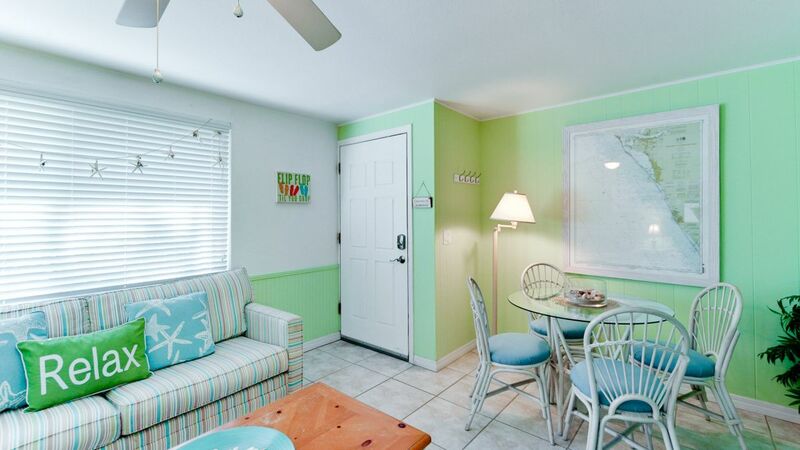 If you have an interest in renting this cute beach cottage, you will not be disappointed. The Monkey Bus pick up was right outside our door. The trolley a few streets away, the beach was so walkable and the area was nice. It was great, not too far from the beach. My husband and I stayed at Geries East over a long weekend. We really enjoyed it, it was the perfect place for 2! 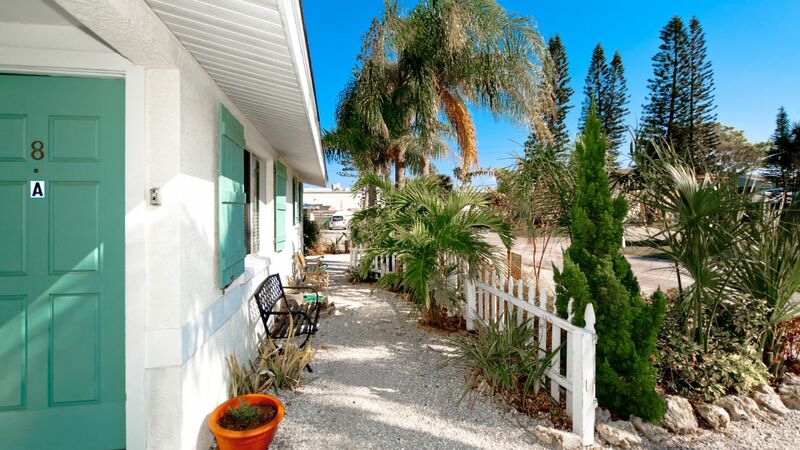 Close to shopping and 1 block off the beach! We wished it had a washer and dryer but everything else you could want, Gerties had it including beach chairs, umbrellas, beach towels and noodles to float with. The pool was not too clean but it sure was refreshing after a long day at the beach! We would stay here again in the future! 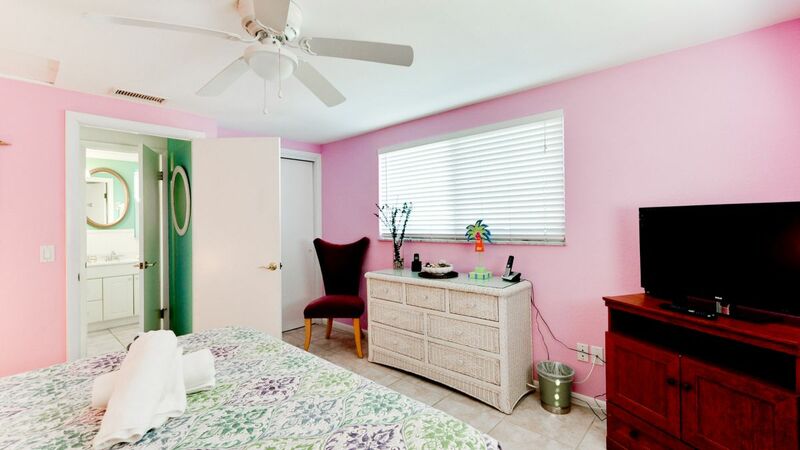 The one bedroom bungalow is approximately 600 Square feet and clean and comfortable for a couple. Our stay was in Unit "A" and the "B" unit was vacant during our stay so we had exclusive use of the pool and premises. The beach is four (4) houses away, about a 2 minute walk. 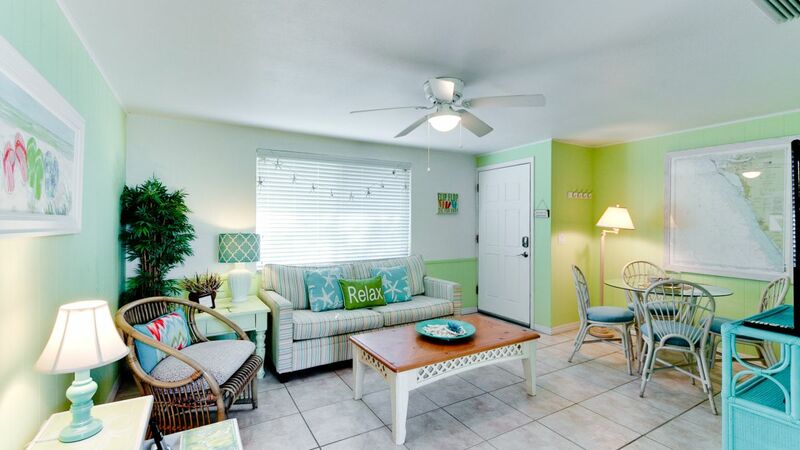 Perfect for a couple - Bright Florida colors just made for us a very happy 2 week stay. 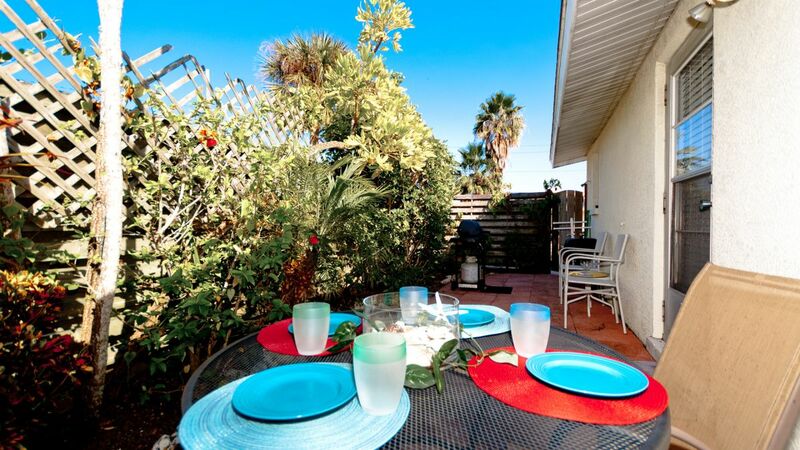 Close walking distance to beach, stores, trolley and restaurants. 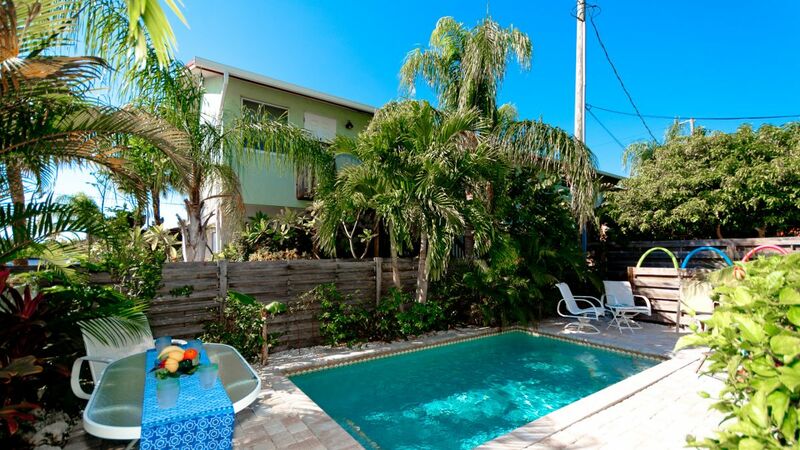 Lovely cottage, inviting pool and great location. 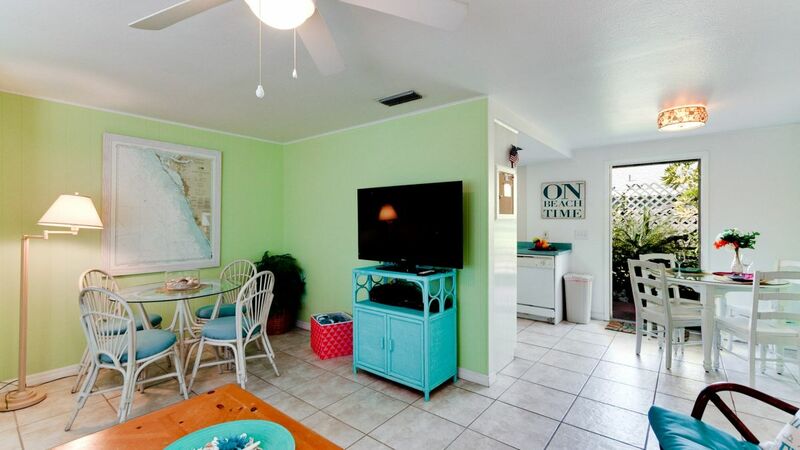 Only steps from beach and stores. Gertieâ€™s Beach House was a disappointment. The bathroom had obviously not been cleaned. Hair was in the sink and on the toilet. The kitchen floor was so dirty our feet stuck to it when we walked across it. The blankets were soiled. We have stayed on AMI many times and this was the first time we have rented a place that was dirty. The pool was also filthy. I called to inquire and was told I would be called back soon. I was never called. We paid for a pool that we didnâ€™t get to use! We took day trips so we didnâ€™t have to be there much! Feel we were taken advantage of. 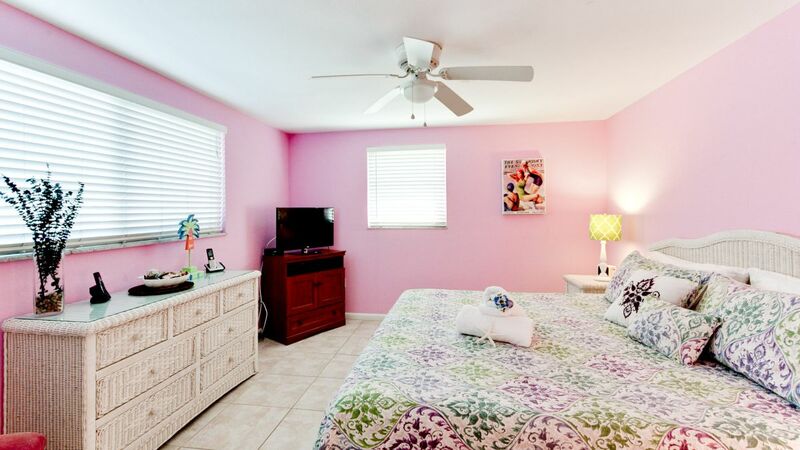 Located close to most everything, the beach, dining, shops and dining. Would consider staying here again. The only negative was sewer line construction that lasted three days. Gotta have sewers!lol The pool was just right! 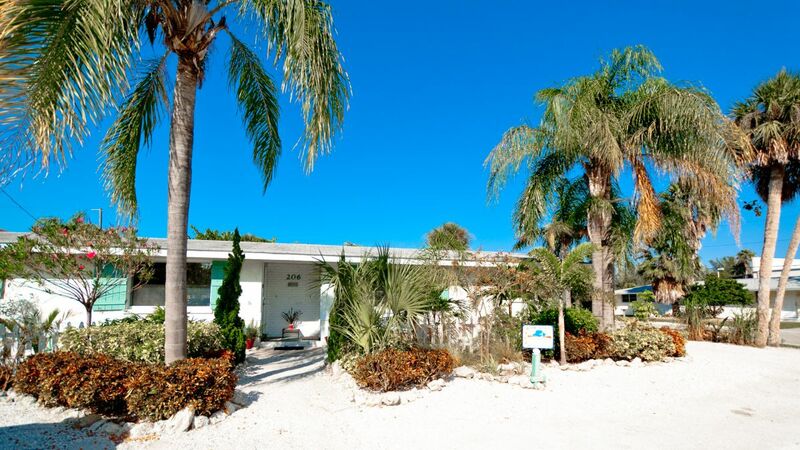 Our stay on Anna Maria Island was amazing!! I have not felt more relaxed on a trip. Waking up and walking to the beach and coming back to float in the pool was simply fantastic. The short walk to the beach was easy. We rented bikes to use during our stay and were able to bike to many different beaches. Went to a different beach each day, Bean point is a must! Florida dreams made our stay so much better. Thank you for allowing us to come back after Irma.